Immediately after Hiro, we again switched to something completely different, unique, and, most importantly, loud. 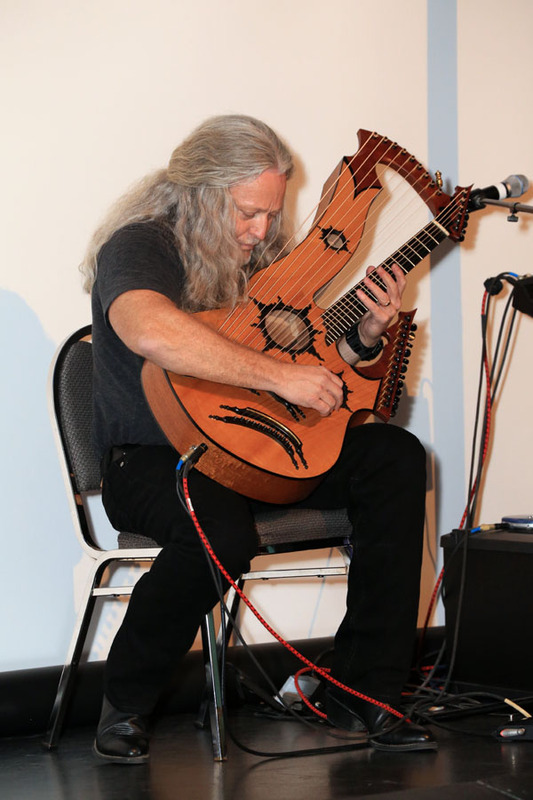 Then there’s the outrageous instrument, which he built himself, from sketches he made over 30 years ago. 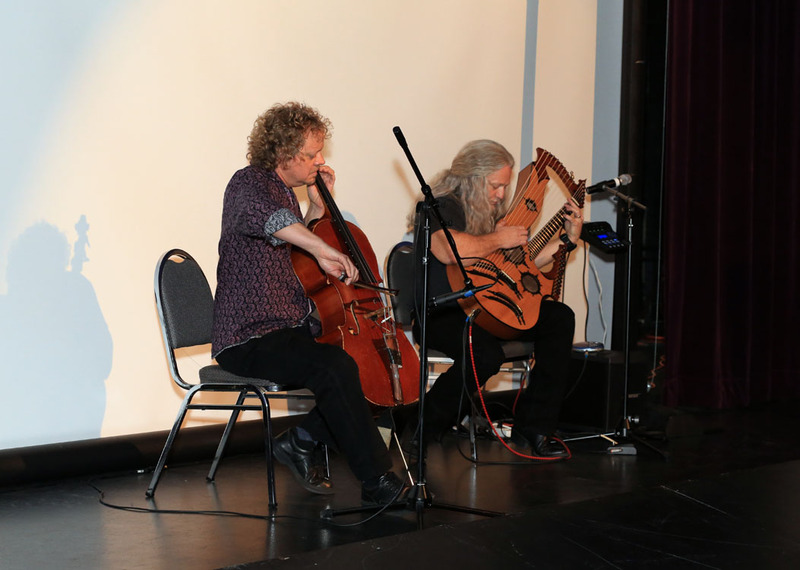 In Keith’s hands, and plugged into his state-of-the-art Bose system (he drove from his home near Nashville, Tennessee), this instrument yields a virtual “wall of sound” – and so the audience was treated to something closer to a wall to wall rock concert than the softer acoustic harp guitar sounds most of us offer. I was much impressed with the quality of Keith’s electronics and the gorgeous and seamless melding of the acoustic and electric characteristics of his custom instrument from crystalline super-trebles (12 in all) to the 9 roaring subs (did I mention “loud”?). 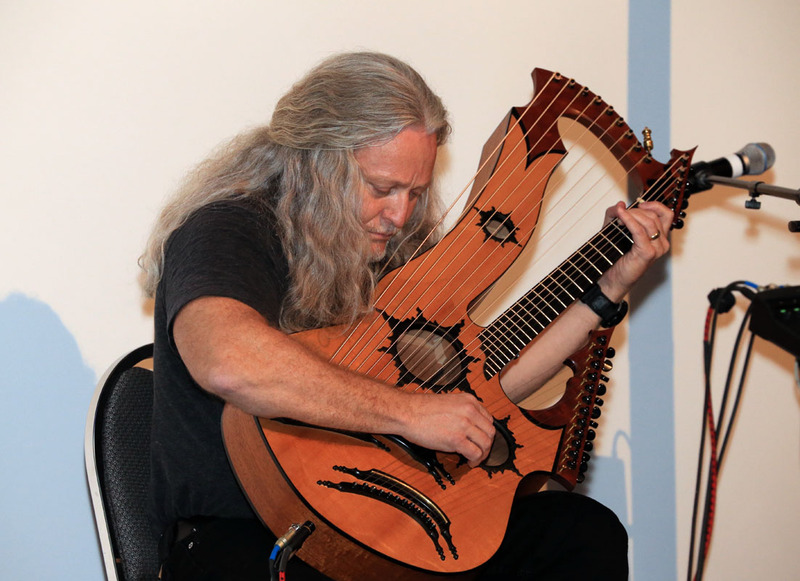 Adding to the effectiveness is a backing soundtrack of intense percussion and other instruments – Keith’s CD arrangements with the harp guitar stripped out. It’s all pretty cool and he times it effortlessly (that is, when the temperamental “Chuck” decides to work…yes, the playback system has a name…long story). A final part of the cool factor is that Keith was exactly as I anticipated from our phone conversations. A totally laid-back, humble and kind soul, with a warm and self-effacing sense of humor. These are the sort of musicians, performers and personalities the Gathering tends to attract, and Keith fit right in as if he’d been part of the community all along. I hope we cross paths again, my friend! Tom Shinness sat in with Keith for a tune, as he does on occasion in Nashville. 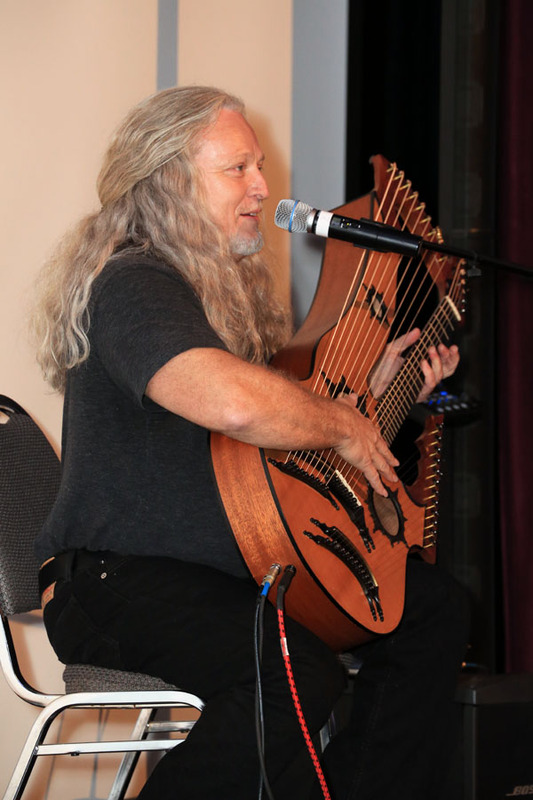 Yes, it was great to have Keith join us this year, adding yet another facet to the wonderful world of harp guitar. Thanks Keith, for making the trip and showing us what you do! Very cool! Maybe if you come to another Gathering sometime, you can convince Chuck to mingle a bit more. Regardless, do come back! I have been listening to Keith’s music now for several months on line from Chicago. 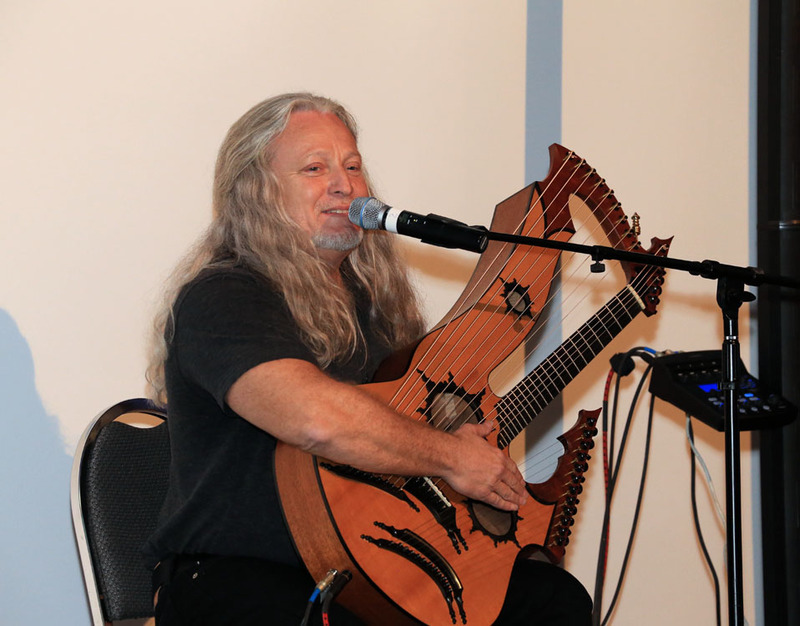 I have become a dedicated fan and I have shown a lot of my friends his amazing craft from building that Harp guitar to playing it. As a fellow guitarist he captures sounds and emotions that inspire me constantly. Don’t stop!